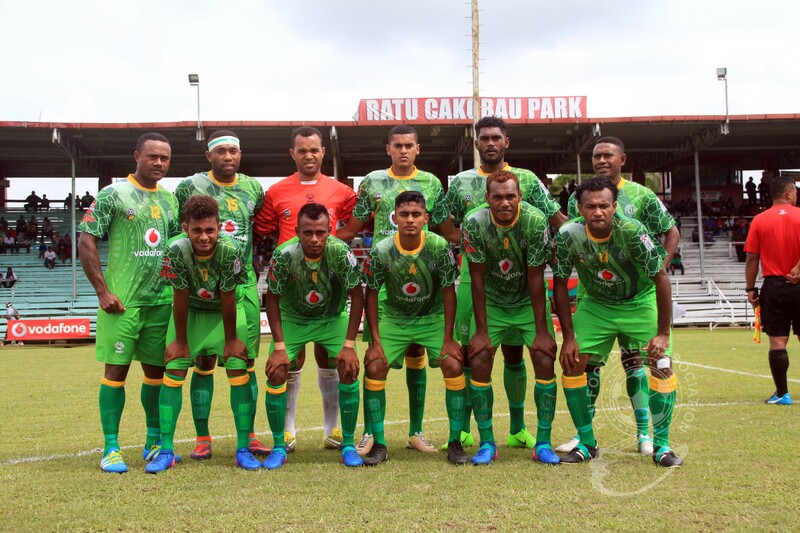 Premier Distributors Suva and Jacks Nadi have booked a spot in the semifinal of the 2017 Vodafone Fiji FACT at Ratu Cakobau Park in Nausori. The Shivam Naithan coached side defeated Rakiraki 2-0 and Lautoka 1-0 to earn six points in Group B while Nadi defeated Ba 3-1 and Dreketi 3-1 also earned six points. In group A Nadi has six points, Labasa registered a win against Dreketi and a draw against Ba and sit on 4 points while Ba has lost to Nadi and draw against Labasa and sit on one point. Dreketi is yet to register a point and plays Ba in the final pool match tomorrow. Labasa need to beat Nadi or a draw will put them in the semi-final. If Labasa loses against Nadi and Ba scores six goal against Dreketi, Ba will also have chance to qualify for the semi-final. In group B host Rewa has more chance of qualifying and they only need a draw against Suva. If Suva beats Rewa and Lautoka thrashes Rakiraki with more than five goals will see them in the semi-final. Suva has six points, Rewa sits on four points while Lautoka on one point and Rakiraki is yet to register a win. Today’s results: Nadi 3-1 Dreketi, Rewa 5-0 Rakiraki, Suva 1-0 Lautoka, Ba 0-0 Labasa. Tomorrow’s fixtures: 10.30am Lautoka vs Rakiraki, 12.30pm Ba vs Dreketi,. 2.30pm Nadi vs Labasa, 4.30pm Rewa vs Suva.